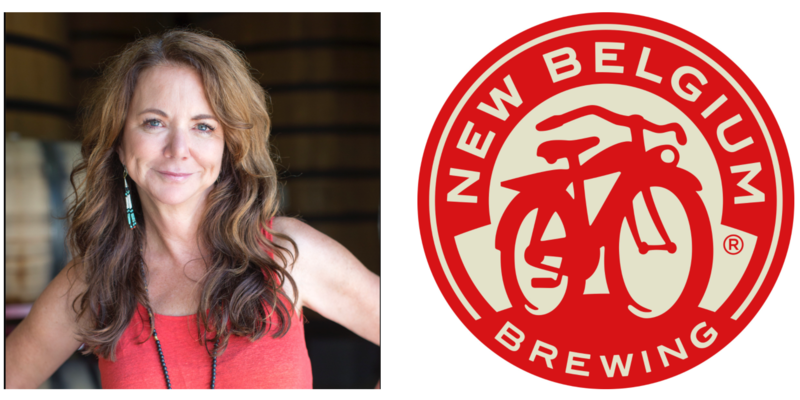 Kim Jordan, co-founder of New Belgium Brewing will deliver the keynote address at the 2018 National Bike Summit. New Belgium has been a long-time supporter of bike advocacy, running the Tour de Fat since 2000 and the Ramble Rides. Summit attendees will remember them for their continuing sponsorship of our event and the happy hours. We talked with Kim about New Belgium, beer, biking and being a (Platinum!) Bicycle Friendly Business. If you are waiting to register for #NBS18, don’t wait any longer. Catch our January Special rates! It was the outgrowth of our enthusiasm for bike commuting and cycling for pleasure, both road riding and mountain biking. When we named one of our first five beers Fat Tire, we really began to see the power of the bicycle. We also started giving bikes for employee's one-year anniversary gift. One thing led to another and we ended up realizing that we had a real opportunity to promote cycling broadly for healthy living, reducing congestion, reducing greenhouse gas emissions. As we all know, there are so many great benefits. Beer is an archetypal thing for people. They are interested in knowing about people who make beer, and we saw it as a really great way to have a platform about bicycling by talking about it as a brewery. You identify what it is you're interested in, and they you start attracting like-minded people. It was clear that we were enthusiastic about cycling, and I think we found that we started hiring people who are also enthusiastic about cycling, and that type of thing grows on itself. And then some really simple practices: Having onsite showers for people who feel like they would bike except that they feel like they need to have a shower after biking. Providing lots of bike parking, encouraging people to get out and be healthy. They all feed on one another. And there's also the advocacy side of it, which comes more broadly out of our desire to be a business role model. One of our areas of both philanthropy, and also mission-aligned investing is around liveable, bikeable, walkable communities. And another one is around renewable energy and carbon mitigation. A third is around local and sustainable food sources. One of the lenses for all of these investments is encouraging employee ownership. I like both commuting and road riding. I do a little bit of mountain biking, but I do less of it as time goes on. In San Francisco, I have a Mission Bike, so it has an internal hub that gives me gears for the hilly city. For road riding, the casual weekend 30-milers and the multi-day touring treks are fun to do in the Bay Area, in Europe and around Fort Collins.